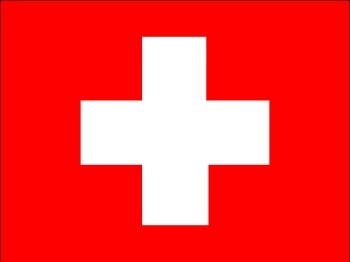 The government of Switzerland is pursuing efforts to impose tougher restrictions on the sale of "mature" videogames in the country and is also considering the possibility of banning them outright. Two resolutions that seek to tighten the restrictions on videogame sales to minors were recently passed in Swiss Parliament. The first would outlaw the sale of games rated 16+ or 18+ by PEGI, the Pan-European Game Information rating system, to minors and imposes stricter requirements for identification on retailers. It would also become illegal for anyone in the country to purchase a videogame that hasn't been rated by PEGI. The second resolution is simpler but also far more potentially troublesome: It seeks to ban "violent and adult" videogames in the country outright. Fortunately, while the first resolution passed unanimously, the second met with some modicum of resistance and only passed with a 9-3 vote, still a troubling majority by any measure but also a sign, slight though it may be, that at least a few people are thinking about something more than just the children. The resolutions were originally filed back in December 2007 by Norbert Hochreutener of the Christian Democratic Party after a 21-year-old army conscript shot and killed a 16-year-old girl at a bus stop. While videogames don't appear to have been cited by officials as being at all connected to the case, at least one media report managed to work them in anyway, writing, "The man then took aim at the 16-year-old victim, a trainee hairdresser, who just happened to be waiting at a nearby bus stop, as if in a computer game, reports say, and fired a fatal shot." Swiss game sellers currently operate under a voluntary "code of conduct" which recommends against the sale of mature videogames to minors, but some members of the government believe the regulations should be codified into law to ensure they're properly enforced.